Situated on the westernmost tip of Flores Island, Labuan Bajo or Labuhan Bajo becomes the main gate for those who want to visit Komodo Island. Labuan Bajo is a transit port that provides stocks on groceries and other necessities for those who travel on live aboard to the islands or further east. Labuan Bajo is a small city where we can explore the whole area on foot, for only 15-20 minutes. Here, there is Komodo Airport that located only 2Km from the center of Labuan Bajo, and it has 4-6 daily flights arriving from Bali. The port is also has daily ferry departures to Bima and weekly departures to Denpasar and Sulawesi. This small city gains its potential economic mostly from the ferry and its tourism site, including the local shop, restaurants and the diving trade. Many local and foreign tourists come to give visit to Komodo Island; mostly are European, like Italy, United Kingdom and Australia. To promote the regional tourism and as the entry gate to Komodo National Park, there is an annual festival that made since 2012, and it held during 6 months of celebration, from July to December. Labuan Bajo is administratively the capital of West Manggarai District, where the majority of the inhabitant are Muslim, as there are numbers of people who transmigrates from Sulawesi, Lombok, Java and Sumatra, with a few of them are still believe in ancient animism. To reach Labuan Bajo can be accessed by air, land and sea. Flying to Labuan Bajo can be accessed by using Transnusa Airlines, that directly connecting Labuan Bajo to Denpasar, Kupang, Ende and Mataram. To reach Labuan Bajo via Flores Island by using land trip is possible but costly, because of the limited transportation. 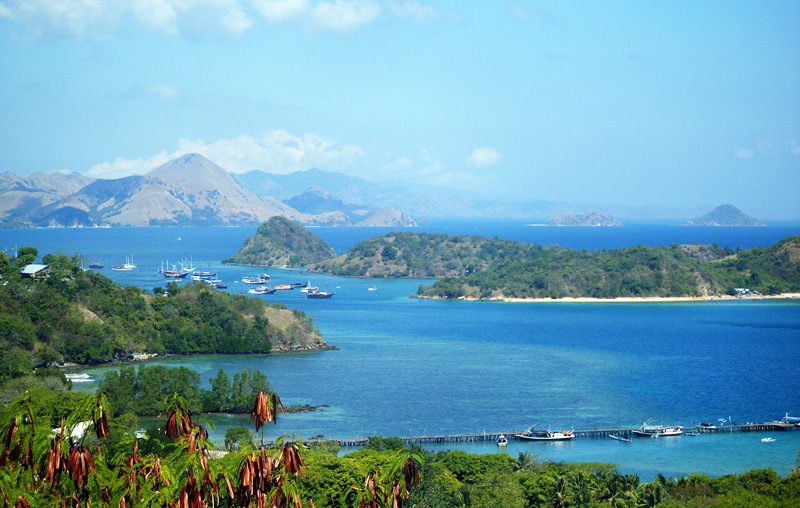 A four day trip from Lombok or Bali to Labuan Bajo may cost you IDR 1 Million or around $100 per person. A much costly yet convenient way of getting there and around is by renting a 7-seater. The condition of vehicles are said to be above average, but the roads are in vice versa.